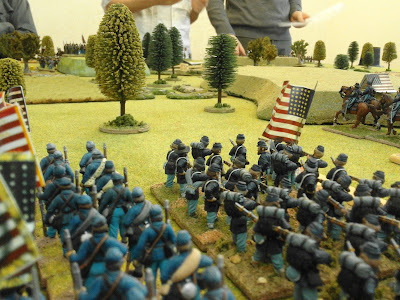 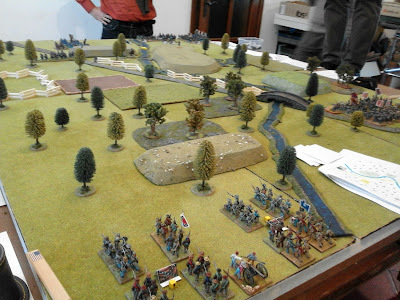 On 27th December a couple of my club members decided to play an Acw scenario: Stone River. We used a rule system created by Paolo M. that is partially based on his rule book "L'Italia s'è desta!". The game mechanisms are similar and partially simplified but in a larger scale (ie at divisional level). We played the scenario with 8 players including the two generals in command that had to decide the initial strategy and, only after the first contact with the enemy, could give written orders to their sub-commanders. Sub commands and their generals couldn't speak between them. 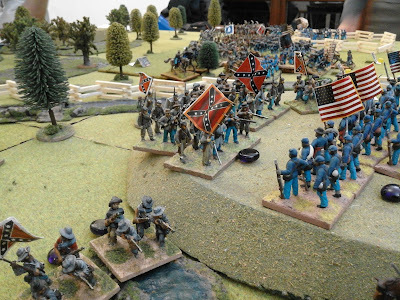 This rule permitted to recreate the chaos typically of Acw struggles. 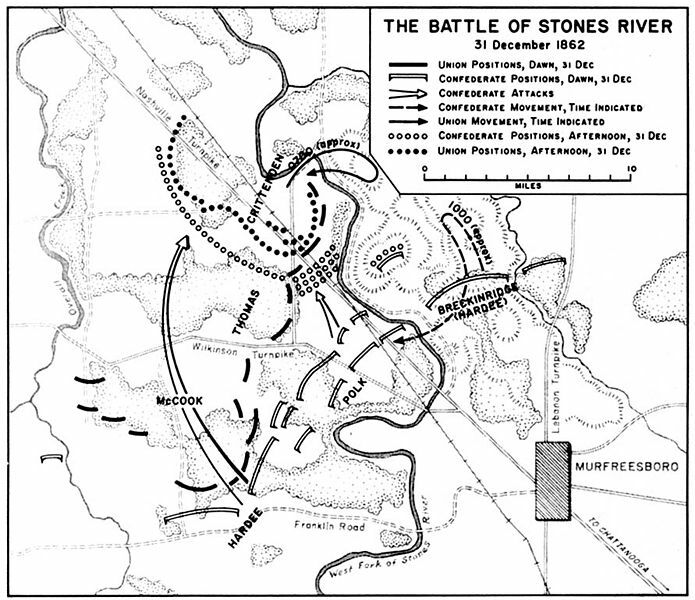 1862 winter, western theater (between the Mississippi River and the Appalachian Mountains). 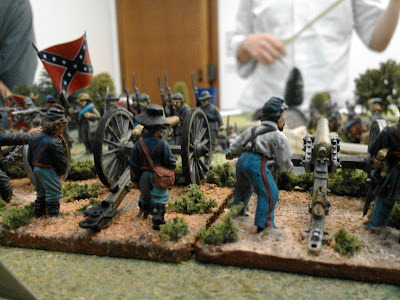 After the failure of Kentucky invasion, which culminated in the Battle of Perryville, the General Bragg's Confederate army retires in southeastern Tennessee. 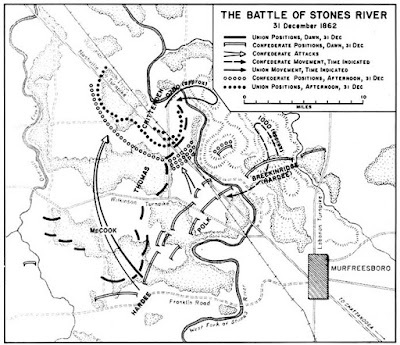 Even the Union army, now commanded by General Rosecrans, moves south and takes place at Nashville. 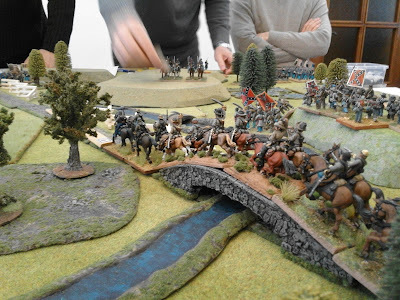 All miniatures are 28mm and are painted by Alberto M., Paolo M., Franco B., Franco Bel., Francesco R.
Forest: broken terrain (moving 4 '', visibility 2 '', light coverage). Hill: broken terrain (moving 4 '', light coverage). 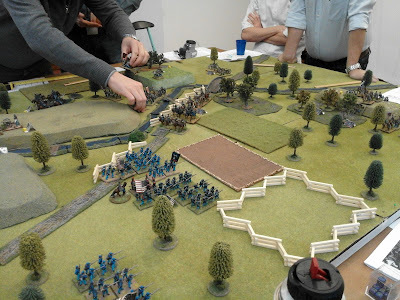 Hedges and fences: broken terrain (moving 4 '', light coverage). 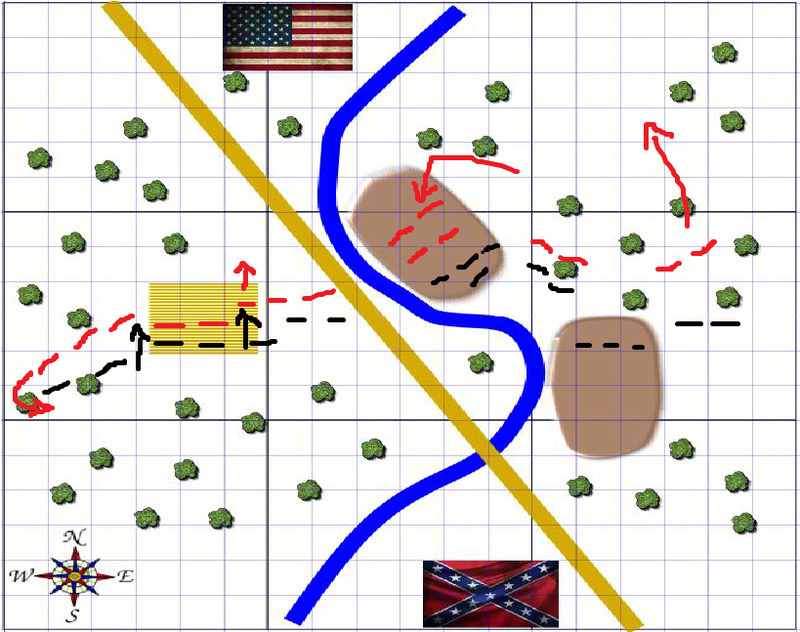 The first division of each armies deployes within 20 '' on the edge. 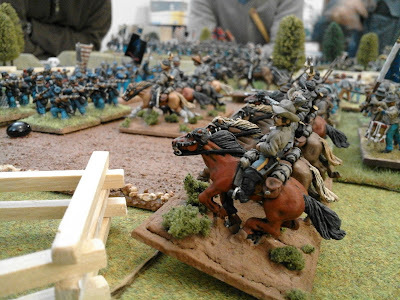 The remaining units arrive during the 1st round. 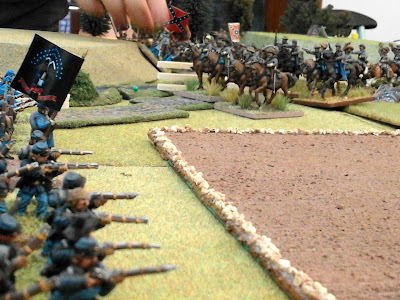 To win an army must take the control on two objectives. The objectives are the two hills and the camp in the centre. 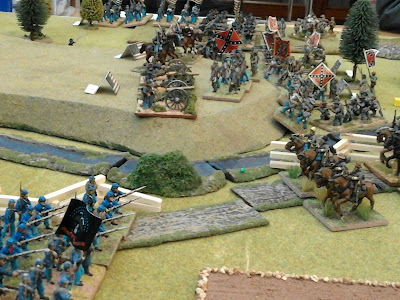 ... in the meanwhile the union cavalry and the batteries reach the hill. After a brief match the cavalry is repulsed back and the batteries remain alone. In the last rounds the confederate units try to take the camp while the union reinforcements do not allow the control of the second hill by Virginian forces. 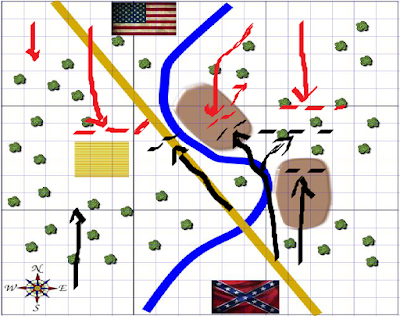 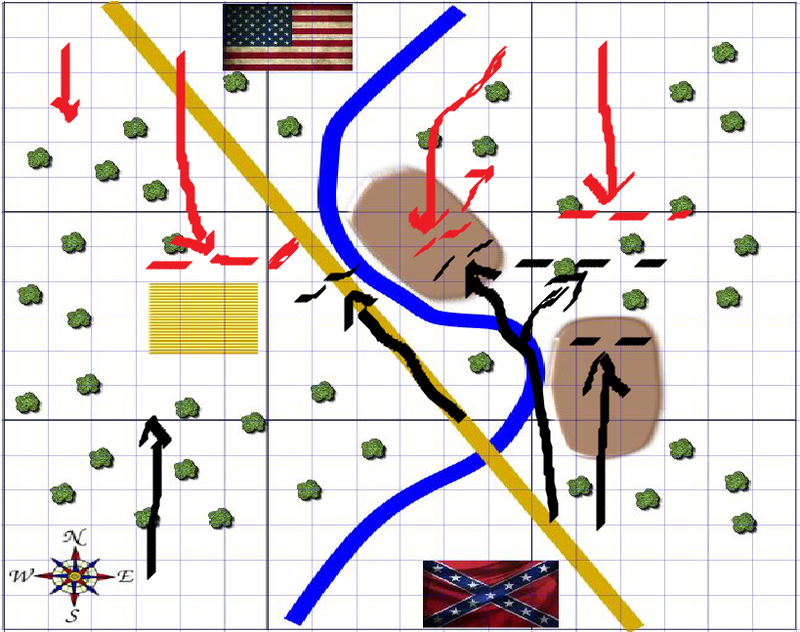 The union army obtains two objectives but with several deads so we decided that the game was a tie. 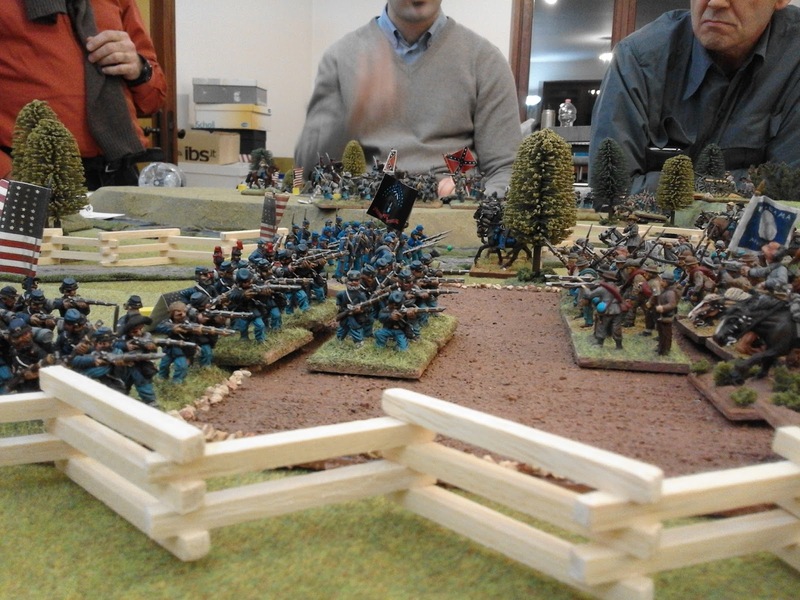 A great game well organized and prepared by P. Montinaro and Franco B. 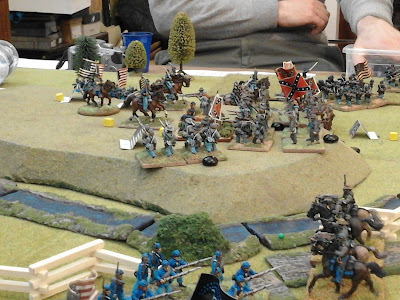 Many thanks to all ... to the next battle! 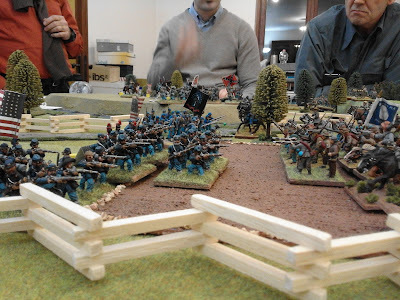 Etichette: ACW, Double line, Garibaldi all'attacco!